Blackberry Farm is Fox Valley Park District’s living-history museum where pioneer life is recreated in interactive ways. 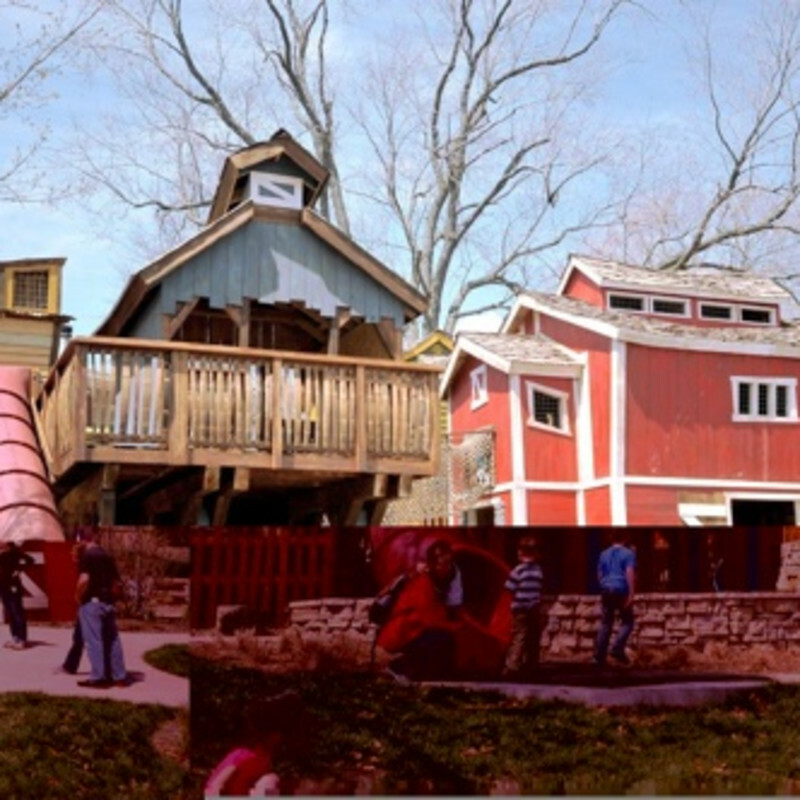 The Adventure Playground located there is reminiscent of a rustic, historic farm settlement. The layout encourages children to go from one activity to the other as they make their way through the multi-level buildings. There are climbing decks, rope tunnels, catwalk bridges, slides and zip-lines to get you to each new and exciting destination. Throughout the playground, colorful panels educating children about fruits, vegetables, and grains help to incorporate the farm setting.